The U.S. Food and Drug Administration (FDA) has released information regarding import refusals for last month through October 24, 2017. 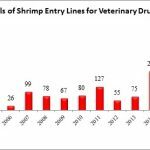 Over the first three weeks of October, the FDA reports that 4 of the 63 (6.4%) total seafood entry line refusals were of shrimp for reasons related to banned antibiotics. 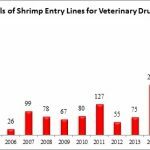 The FDA has now reported refusing 69 entry lines of shrimp for reasons related to banned antibiotics in 2017. 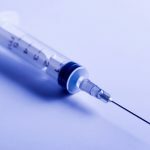 However, the FDA appears to be revising its reporting on a rolling basis, and the ultimate number of entry lines reported as refused this year may be lower than this total. Minh Phu Seafood Corporation (Vietnam), a company that was added to Import Alert 16-124 for ciprofloxacin in its shrimp on September 14, 2017, had one entry line refused for shrimp contaminated with veterinary drug residues by the Division of West Coast Imports on October 20, 2017. The FDA’s reporting of entry line refusals appears to be undergoing revisions on a rolling basis. Last month, the Southern Shrimp Alliance noted that the FDA’s updated Import Refusal Report for the month of August had omitted reference to two shrimp entry lines that had previously been reported as refused in that month: (1) Ca Mau Seafood Processing & Service Joint Stock (Vietnam), entry line number 991-0228945-3, refused for shrimp contaminated with veterinary drug residues by the Division of Northeast Imports on August 8, 2017; and (2) Manwill Trading Company (Hong Kong), entry line number EE3-1319155-7, refused for shrimp contaminated with veterinary drug residues by the Division of Northeast Imports on August 14, 2017. Although these two entry lines no longer appeared on the FDA’s drop-down box results of seafood entry line refusals for August in the Import Refusal Report, they had remained listed in the excel spreadsheet database of FDA entry line refusals available for download from the agency’s website. However, in the update to the excel spreadsheet database made for this month, these two entry lines have now been removed from that reporting as well. Now, the FDA’s reporting of entry line refusals in September has been revised to remove reference to the fourteen entry lines of shrimp reported as refused from the Chinese company Yantai Wei-Cheng Food Co., Ltd. Although these entry lines continue to be listed in the excel spreadsheet database of FDA entry line refusals available for download from the agency’s website, they may ultimately be removed from this database in December when a new update is released. Based on the Southern Shrimp Alliance’s past monitoring of the agency’s reports, there is no prior precedent for the FDA’s current practice of initially reporting refusals of certain entry lines followed by subsequent revisions that omit reference to those refusals.